Eating disorders (ED) are represented by two severe syndromes, bulimia and anorexia nervosa. A large clinical continuum exists between these two syndromes, encompassing partial syndromes or food avoidance and weight-loss behaviors, also known as eating disorders not otherwise specified (ED NOS). These disorders, having gone under recognized for a long time, have now become increasingly frequent [1–3]. Moreover, about half of the subjects with ED NOS will go on to develop a complete syndrome [4–6]. Obsessive concern about gaining weight is frequently found in adolescents and young adults for whom physical (external) appearance is very important. This might lead in the most vulnerable subjects to the development of ED [7,8]. The vulnerability factors underlying these disorders can be psychological, biological or sociological. Temperament, as the biological basis of personality, is determined through stable and specific behavioral profiles and energy levels. Please find below an incredible study on Eating Disorders and Cyclothymic Temperament: A Cross-Sectional Study on Tunisian Students. This is one of the ground breaking studies that connects dominant affective temperament. Cyclothymic affective temperament (CT) with ED. we hope you’ll find the study below informative. Copyright: © 2016 Feki I, et al. This is an open-access article distributed under the terms of the Creative Commons Attribution License, which permits unrestricted use, distribution, and reproduction in any medium, provided the original author and source are credited. Purpose: The aim of this study was to estimate the prevalence of eating disorders in a sample of young Tunisians and to study their links with cyclothymic temperament. Subjects and methods: We conducted a cross-sectional, descriptive and analytical study on 107 students from the Faculty of Medicine of Sfax, Tunisia. For assessment of eating disorders, we used the Eating Attitude Test with 40 items, in its validated Tunisian-Arabic version. For evaluation of cyclothymic temperament, the Arabic version of the Temperament Evaluation of Memphis, Pisa, Paris and San-Diego auto questionnaire (TEMPS-A) was used. Results: Prevalence of eating disorders was 21.5% in our sample. The percentage of students who had a cyclothymic temperament was 25.2%. We found a statistically significant correlation between eating disorders and cyclothymic temperament (p=0.000). Cyclothymic temperament increased by 3.75 the risk of developing eating disorders in female students. Conclusion: Our results corroborate the tendency to a more homogenous repartition of eating disorders worldwide. We found a positive correlation between eating disorders and cyclothymic temperament, which confirms the data of the recent, very scarce literature on the subject. Eating disorders (ED) are represented by two severe syndromes, bulimia and anorexia nervosa. A large clinical continuum exists between these two syndromes, encompassing partial syndromes or food avoidance and weight-loss behaviors, also known as eating disorders not otherwise specified (ED NOS). These disorders, having gone under recognized for a long time, have now become increasingly frequent [1–3]. Moreover, about half of the subjects with ED NOS will go on to develop a complete syndrome [4–6]. Obsessive concern about gaining weight is frequently found in adolescents and young adults for whom physical (external) appearance is very important. This might lead in the most vulnerable subjects to the development of ED [7,8]. The vulnerability factors underlying these disorders can be psychological, biological or sociological. Temperament, as the biological basis of personality, is determined through stable and specific behavioral profiles and energy levels. Temperament is considered to be a predictive factor of numerous psychiatric disorders [9,10]. Cyclothymic temperament is characterized by high mood-lability and emotional overactivity, as well as impulsive –aggressive emotionally erratic behaviors, hypersensitivity . In this context, temperament might constitute a biological vulnerability factor to developing ED. Several studies suggest cyclothymic temperament to be the temperament most frequently associated with ED. However, literature is still scarce on that subject [12–14]. Our study aims at determining the prevalence of ED and of cyclothymic temperament in a sample of Tunisian students, and to study the relationship between cyclothymic temperament and ED. We conducted a cross-sectional, descriptive and analytical study at the Faculty of Medicine of Sfax, (Tunisia) on October, 2015. One hundred and seven students assisting at directed teaching courses were included on an ad hoc basis and after permission from the dean of the Faculty. These students were over 20 years of age and gave oral consent. Excluded from the study were students less than 20 years of age and who refused to participate in the study. Eating disorder was assessed using the Eating Attitude Test, long version with 40 items (EAT 40) is a self-assessment scale developed by Garner and Garfinkel in 1979 . It is used to evaluate eating attitudes and symptoms in non-clinical samples and to detect ED without differentiation of the sub type. It is the most frequently used scale to detect ED worldwide. This scale was validated in Tunisia in 2007. Cut off score was set to be 30 . Temperament was evaluated by The Temperament Evaluation of Memphis, Pisa, Paris and San Diego Auto-questionnaire (TEMPS-A), translated into Arabic and validated by Karam et al. was used to evaluate affective cyclothymic temperament. We more specifically used the 21 items corresponding to cyclothymic temperament. According to the literature, cyclothymic temperament can be diagnosed at a cut off score of10 . The sample was divided into two sub groups: ED+ (group with ED) and ED– (group without ED). For statistical analysis was performed using Statistical Package Sciences version 18. Statistical evaluates performed were student t-test, chi-square test. A p value less than 0.05 was considered statically significant. Mean age of the sample was 21.08 years (SD=1.59). The majority of the sample (62.6%) was female. Mean score of cyclothymic temperament was 9.39 (SD=4.83), ranging from 0 to 35. About the quarter of the sample (25.2%) had a cyclothymic temperament. With the dimensional approach, mean score of cyclothymic temperament was significantly higher in group ED+ compared to group ED– (12.60; SD=6.09 versus 8.51; SD=4.05; p=0.000). The same kind of correlation was found according to the categorical approach (p=0.001) (Table 1). It was found that cyclothymic patients had a significantly higher risk for having eating disorder compared to those who had no cyclothymic temperament(odds ratio [OR]=6.500, 95% confidence interval [CI]: 2.381-17.748, P=0.001). A statistically significant positive correlation was found between female subjects, cyclothymic temperament and ED (p=0.029). The prevalence of ED in female non cyclothymic students was 10.44% 21.7%, whereas prevalence of ED in female cyclothymic students was 17.91% 42.85%, with a risk of 3.75 (Table 2). In our study, prevalence of ED was estimated at 21.5%.Prevalenceof ED measured by EAT 40, varies in general population samples (nonclinical settings) of adolescents between 5.5% and 28.4% worldwide [16,18]. Previous studies conducted in Tunisian non-clinical samples of adolescents or of the general population report a prevalence of ED between 13 and 28% , whereas prevalence in other Arab countries ranges between 11.4% and 15.4% [5,19]. Table 1: Relationship between eating disorders (ED) and cyclothymic temperament (CT) according to the categorical approach. Table 2: Relationship between eating disorders (ED), cyclothymic temperament (CT) and gender. Today, prevalence rates of ED NOS found in Arab countries tend to approach prevalence rates in Western countries [20–24]. Furthermore, a majority of authors agree on a rise in the annual incidence in ED in the 15 to 24 year age group [14,25]. This rise in incidence and prevalence of ED could be considered as a new preferential mode of symptomatic expression of psychological problems in adolescence, joining other disorders especially substance use disorders. Parallel increase in ED and substance use disorders supports the epidemiological, biological, behavioral or psychodynamic perspective of ED as a form of addiction [26,27]. Transcultural studies point out the influence of the media in the rise of these disorders in developing countries where worries about bodyweight tend to be less pronounced. In a more general perspective, the changing role of women and the competitive pressure to perform brought by globalization is suggested to contribute to the rise of ED in these countries [28,29]. However, the complex interplay between the vulnerability to these social changes and genetic, biological and psychological vulnerability factors is still poorly understood. ED are considered as pathologies with a large female preponderance [5,6,30].Our results seem to confirm this. Bailly  explains the female preponderance of ED by two factors: 1) the physiological and psychological changes during puberty and 2) the narcissistic investment, which is central to ED, which in young women is more centered on appearance, explaining the defensive use of the body. In studies on non-clinical samples, men with ED have a higher frequency of partial syndromes than complete syndromes . In our sample, prevalence of cyclothymic temperament was estimated at 25.2%. This number is elevated in comparison to other studies where prevalence rates in clinical samples range between 3% and 6% [17,32,33]. However, some authors state that cyclothymic temperament is largely underdiagnosed by clinicians. Furthermore, cyclothymic temperament was found to be frequent in the non-clinical, general population, and our sample consists of a non-clinical sample of young students . Our findings could also be explained by the fact that we included mainly female subjects. Indeed, some studies report elevated rates of cyclothymia in women compared to men . Our data showed a statistically significant correlation between cyclothymic temperament and ED (P=0.001), which is also found in the literature [12,27,35]. Additionally, we noted a statistically significant relationship between female gender, ED and cyclothymic temperament. Female gender associated to cyclothymic temperament increases this risk by 3.75 to have eating disorder. Multiple studies show that ED and cyclothymic temperament are more frequent in females [31,36]. In the literature, the authors underline that a cyclothymic temperament in a women seems to augment the risk for ED-comorbidity [12,13,33]. Several authors explored the association between ED and cyclothymic temperament measured by the TEMPS scale: Signoretta et al. evaluated affective temperament and emotional and behavioral difficulties in a non-clinical sample of 1010 young students. Their research showed that a cyclothymic disposition was more frequently associated with anxiety, sleeping disorders, separation sensitivity as well as ED in females, and antisocial and aggressive behavior in males. These findings corroborate the results of our study, especially for the female gender. Ramacciotti et al. studied affective temperaments in a patient sample with ED according to SCID (Structured Clinical Interview for the DSM-IV Disorder), and compared them to a general population sample. There was no correlation between any affective temperament and anorexia nervosa. On the contrary, 24% of patients with bulimia had an affective temperament, and the most significant correlation was with cyclothymic temperament. The close connection between bulimia and the affective temperaments is also confirmed by a study of Lunde . Another recent study by Amann et al. evaluated temperamental profiles in 213 patients suffering from morbid obesity. Cyclothymic, irritable, and anxious temperament were highly correlated with this form of obesity. Cyclothymia and cyclothymic temperament are close in their clinical expression, but differentiated by nosography. According to DSM V nosography, cyclothymia is part of bipolar disorders and criteria for cyclothymia include clinically significant distress or impairment in social, occupational, or other important areas of functioning. Cyclothymia in the meaning of temperament, describes the biological personality-base . Akiskal and Mallaya  consider the affective temperaments to be attenuated signs of bipolarity [3,4,39–41]. Indeed, cyclothymic traits might lay on a polygenic continuum between an “excessive” temperament and bipolar disorder [40,42]. From a larger point of view and for some authors, cyclothymic traits and ED belong to the bipolar spectrum. Some studies on behavioral addictions show that ED is comprised of an obsessive-compulsive (compulsive constraint) and a bipolar dimension (impulsivity and risk taking). These studies suggest EDs could be part of the bipolar spectrum [32,36]. Perugi et al. [7,8] redefined the bipolar spectrum by including a cyclothymic disposition with anxiety, a mood hyper-reactivity, interpersonal hypersensitivity, a lack of impulse control, and ED. A study on obese binge eating subjects showed that affective instability which is also a characteristic of cyclothymic temperament, was a particularly potent predictor of binge eating . The association of the two conditions: ED and cyclothymic temperament could therefore be a sign of bipolarity. Our results corroborate the tendency to a more homogenous repartition of ED between countries and cultural regions. In our study, ED was associated to cyclothymic temperament, especially for the female gender. Some authors stipulate that cyclothymic traits lay on a continuum between an excessive temperament and bipolarity. Furthermore, other authors propose ED to be included into the bipolar spectrum. The link of these two conditions could constitute an external validation that they belong to the same bipolar spectrum. However, prospective studies should be conducted to confirm this hypothesis. Clinicians should check for this temperament in subjects with ED, especially bulimia and ED NOS. Therapeutic implications might be important, mainly the use of mood stabilizers and their place in future therapeutic strategies. Mechri A, KerkeniN, Touati I, Bacha M, Gassab L (2011) Association betweencyclothymictemperament and clinicalpredictors of bipolarity in recurrentdepressive patients. J Affect Disord2011; 132: 285-288. Mintz LB, O’Halloran MS (2000) The eating attitudes test: Validation with DSM-IV eatingdisordercriteria. J Pers Assess 74: 489-503. Paxton SJ, Diggens J (1997) Avoidancecoping, bingeeating and depression: An examination of the escape theory of bingeeating. Int J EatDisord 22: 83-87. Bunnell DW, Shenker IR, Nussbaum MP, Jacobson MS, Cooper P (1990)Subclinical versus formaleatingdisorder: Differentiatingpsychologicalfeatures. Int J EatDisord9: 357-362. Herzog DB, Hopkins JD, Burns CD (1993) A follow-up study of 33 subdiagnosticeatingdisorderedwomen. Int J EatDisord 14: 261-267. Kerremans A, Claes L, Bijttebier P (2010)Disorderedeating in adolescent males and females: Associations withtemperament, emotional and behavioralproblems and perceived self-competence. Personality and IndividualDifferences 49: 955-960. Perugi G, Akiskal HS (2002) The soft bipolarspectrumredefined: focus on the cyclothymic, anxious-sensitive, impulse-dyscontrol, and binge-eatingconnection in bipolar II and related conditions. Psychiatr Clin North Am 25:713-737. Perugi G, Toni C, Passino MC, Akiskal KK, Kaprinis S, et al. (2006) Bulimianervosa in atypicaldepression: The mediatingrole of cyclothymictemperament. J Affect Disord 92: 91-97. Akiskal HS (1988)Personality as mediating variable in the pathogenesis of mooddisorders: implication for theoryresearch and prevention. In: Helgason T, Daly RJ, editors. Depressiveillness: prediction of course and outcome. Berlin: Springer-Verlag131-146. Solmi M, Zaninotto L, Toffanin T, Veronese N, Lin K, et al. (2016) A comparativemeta-analysisofTEMPSscoresacrossmooddisorder patients, their first-degree relatives, healthycontrols andotherpsychiatricdisorders. J Affect Disord 196: 32-46. Akiskal HS, Maser JD, Zeller PJ, Endicott J, Coryell W, et al. (1995) Switchingfrom ‘unipolar’ to bipolar II. An 11year prospective study of clinical and temperamentalpredictorsin 559 patients. ArchGenPsychiatry 52: 114-123. Amann B, Mergl R, Torrent C, Perugi G, Padberg F, et al. (2009) Abnormaltemperament in patients withmorbidobesityseekingsurgicaltreatment. J Affect Disord 118: 155-160. Signoretta S, Maremmani I, Liguori A, Perugi G, Akiskal HS (2005) Affective temperament traits measured by TEMPS-I and emotional-behavioralproblems in clinically-wellchildren, adolescents and youngadults. J Affect Disord85: 169-180. Van Hoeken D, Seidell J, Hoek HW (2003) Epidemiology. In: Treasure J, Schmidt U, Van Furth E, editors. Handbook of eatingdisorders. Chichester: John Wiley and Sons 11-34. Guelfi JD (1997) L’Ã©valuation clinique standardisÃ©e en psychiatrie. Editions mÃ©dicales Pierre Fabre. 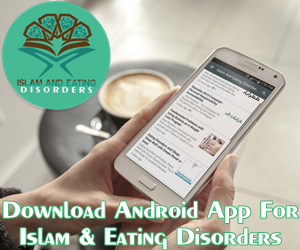 Masmoudi J, Trabelsi S, Elleuch E, Jaoua A (2008) Eatingdisordersduring and outside Ramadan.JTCC 18: 26-31. Karam EG, Mneimneh Z, Salamoun M, Akiskal KK, Akiskal HS (2005) Psychometricproperties of the Lebanese-Arabic TEMPS-A: A national epidemiologicstudy. J Affect Disord 87: 169-183. Nasser M (1994) Screening for abnormaleating attitudes in a population of Egyptiansecondaryschool girls. Soc PsychiatryPsychiatrEpidemiol 29: 25-30. Al-Subaie AS (2000) Somecorrelates of dietingbehavior in Saudischoolgirls. Int J EatDisord 28: 242-246. Casper RC, Offer D (1990) Weight and dietingconcerns in adolescents, fashion or symptom? Pediatrics 86: 384-390. Kreipe RE, Dukarm CP (1999) Eatingdisorders in adolescents and olderchildren. PediatrRev 20: 410-421.
le Grange D, Telch CF, Tibbs J (1998) Eating attitudes and behaviorsin 1,435 South AfricanCaucasian and non-Caucasiancollegestudents. Am J Psychiatry 155: 250-254. Lippincott JA, Hwang HS (1999) On cultural similarities in attitudes towardeating of womenstudents in Pennsylvania and South Korea. PsycholRep 85: 701-702. Lunner K, Werthem EH, Thompson JK, Paxton SJ, McDonald F, et al. (2000) A cross-cultural examination of weight-relatedteasing, body image and eatingdisturbance in Swedish and Australiansamples. Int J EatDisord 28: 430-435. Lucas AR, Crowson CS, O’Fallon WM, Melton LJ 3rd (1999) The ups and downs of anorexianervosa. Int J EatDisord 26: 397-405. Corcos M, Girardon N, Nezelof S, Bizouard P, Venisse JL, et al. (2000) Pertinence of the addiction concept in eatingbehaviordisorders. Ann Med Interne (Paris) 151 Suppl B: B53-60. Davis C, Claridge G (1998) The eatingdisorders as addiction: A psychobiological perspective. AddictBehav 23: 463-475. LÃ©onard T, Foulon C, Guelfi JD (2005) Troubles du comportement alimentaire chez lâ��adulte. Encycl Med Chir. Psychiatrie 96-127. Nasser M, Katzman M (2003)Socioculturaltheories of eatingdisorders: An evolution in thought. In: Treasure J, Schmidt U, Van Furth E, editors. Handbook of eatingdisorders. Chichester: John Wiley and Sons 139-150. Olivardia R, Pope HG Jr, Mangweth B, Hudson JI (1995) Eatingdisorders in college men. Am J Psychiatry 152: 1279-1285. Bailly D (1993) Epidemiologicresearch, disorders of eatingbehavior and addictive behavior. Encephale 19: 285-292. HantoucheE (2006) Troubles Bipolaires, Obsessions et Compulsions. Paris: Odile Jacob. Ramacciotti CE, Paoli RA, Ciapparelli A, Marcacci G, Placidi GE, et al. (2004) Affective temperament in the eatingdisorders. EatWeightDisord 9: 114-119. Akiskal HS (1995) The bipolarspectrum: Researchand clinical perspectives. Encephale 21 Spec No 6: 3-11. Lunde AV, Fasmer OB, Akiskal KK, Akiskal HS, Oedegaard KJ (2009) The relationship of bulimia and anorexianervosawithbipolardisorder and itstemperamentalfoundations. J Affect Disord 115: 309-314. Hantouche E, Blain R (2008) La Cyclothymie pour le Meilleur et pour le Pire. Paris : Robert Laffont. Hantouche EG, Akiskal HS (2002) Les tempÃ©raments affectifs. In: FÃ©line A, Guelfi JD, Hardy P, editors. Les troubles de la personnalitÃ©. Paris; MÃ©decines-Sciences Flammarion257. Akiskal HS, Mallya G (1987)Criteria for the soft bipolarspectrum: Treatmentimplication. Psychopharmacol Bull 23: 68-73. Hantouche EG, Akiskal HS (1997) Tools for clinicalevaluation of affective temperaments. Encephale 23 Spec No 1: 27-34. Hantouche EG, Akiskal HS (2004) ConnaÃ®tre le spectre bipolaire dans sa globalitÃ©. Ann Med Psy 162: 160-163. Van den Bulke D, Henry C (2005) On the interest of analyzingtemperament in bipolarsubjects. Encephale 31: 207-211. Akiskal HS, Bourgeois ML, Angst J, Post R, MÃ¶ller H, et al. (2000) Re-evaluating the prevalence of and diagnostic composition within the broadclinicalspectrum of bipolardisorders. J Affect Disord 59 Suppl 1: S5-5S30. Amianto F, Lavagnino L, Leombruni P, Gastaldi F, Daga GA, et al. (2011) Hypomaniaacross the bingeeatingspectrum. A study on hypomanicsymptoms in full criteria and sub-thresholdbingeeatingsubjects. J Affect Disord 133: 580-583.